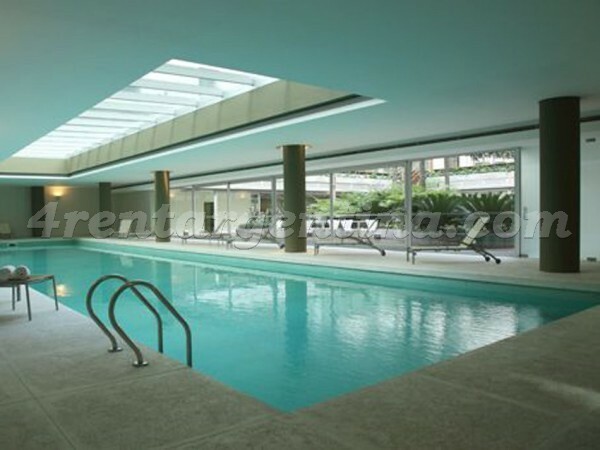 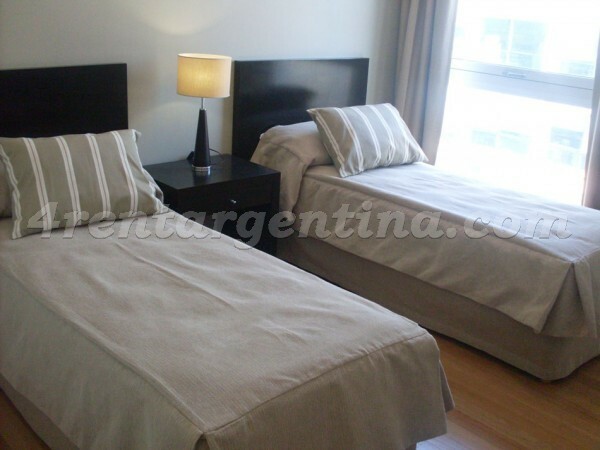 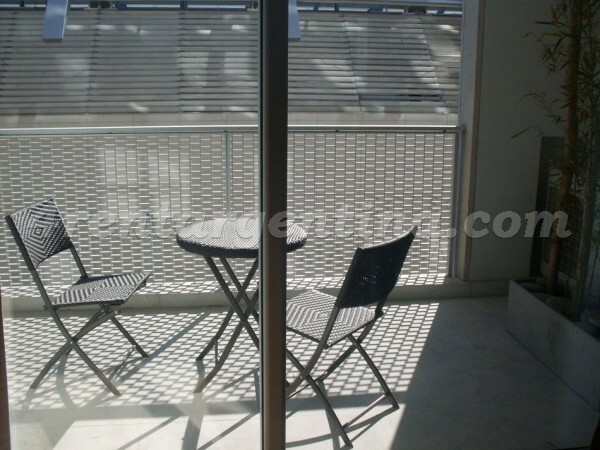 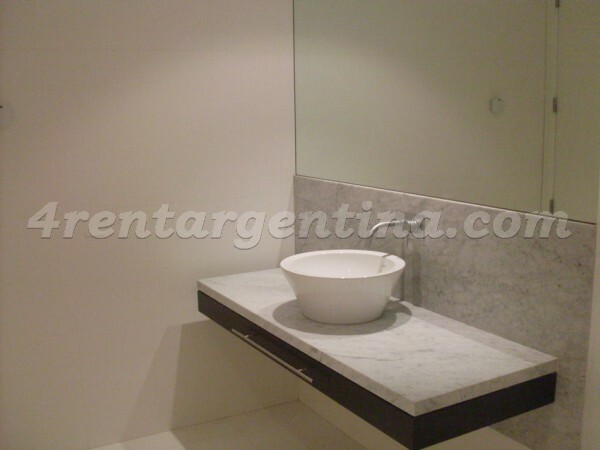 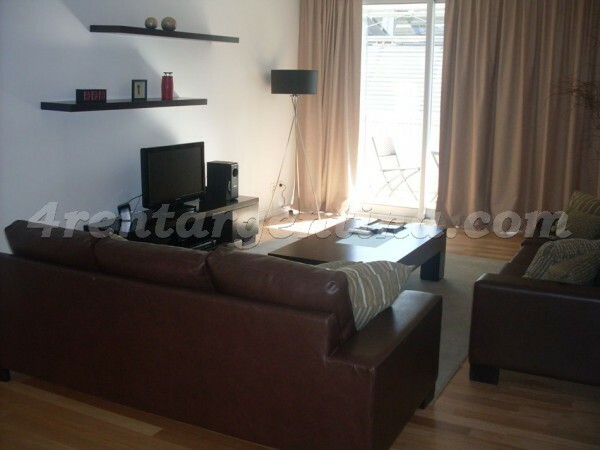 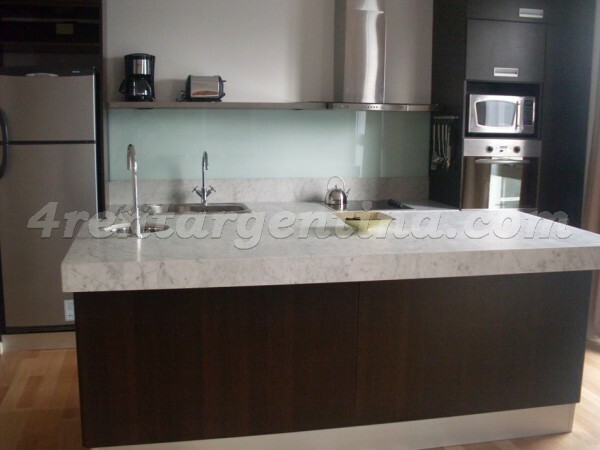 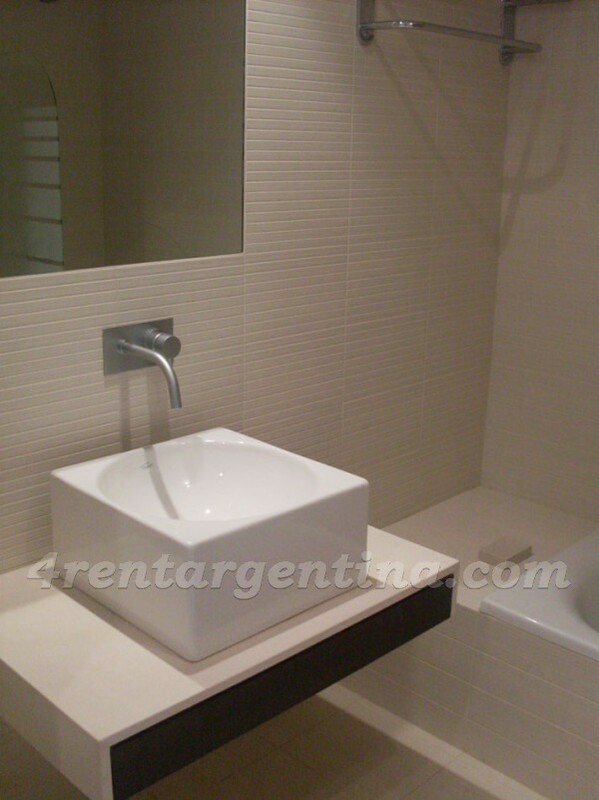 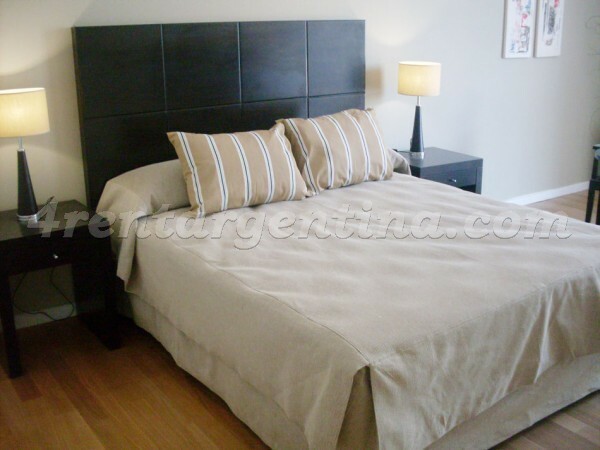 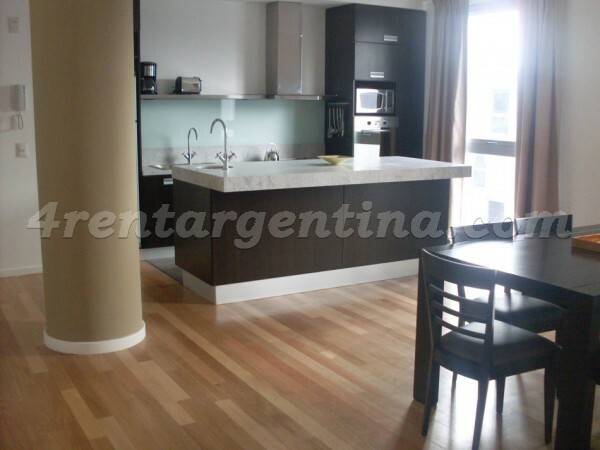 Spacious and luxurious furnished apartment for temporary rent in Buenos Aires, located in the exclusive area of Puerto Madero where you will find a wide variety of restaurants,  and close to La Boca and San Telmo neighborhoods. 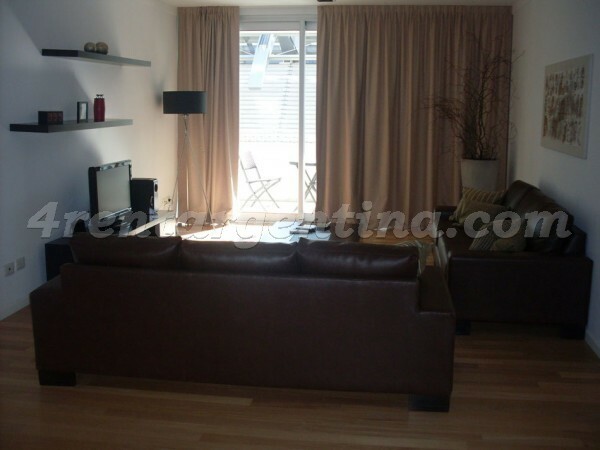 This wonderful apartment is perfect to lodge five people, since it has three bedrooms one with a queen size bed, another with two single beds and a third one with a single bed,  a living-dining room with sofas, a balcony with a table and chairs, a fully-equipped kitchenette with oven, a toilette, and two full bathrooms one with hydro-massage tub. 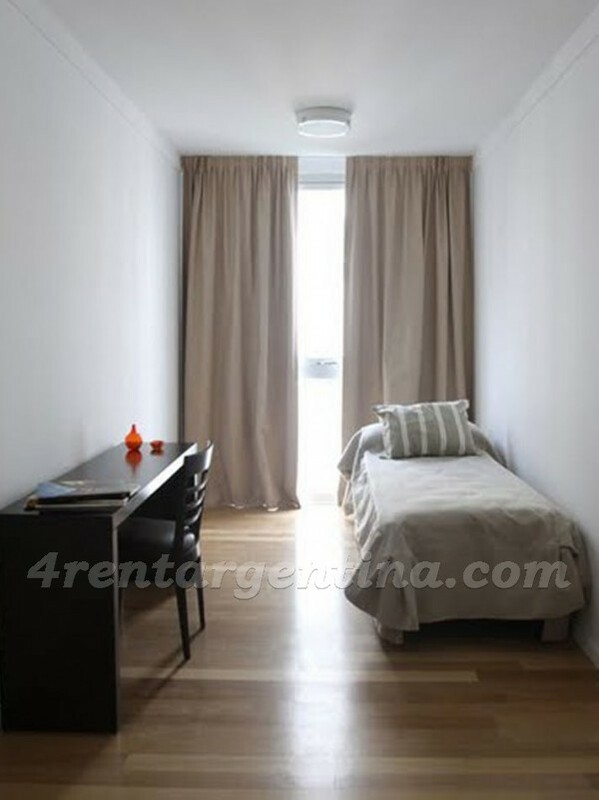 The flat has everything you may need during your stay: central heating, DVD player, Wi-Fi Internet connection, telephone and safety box. 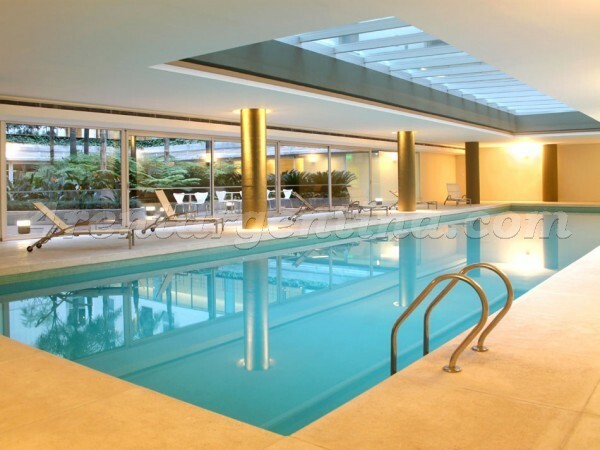 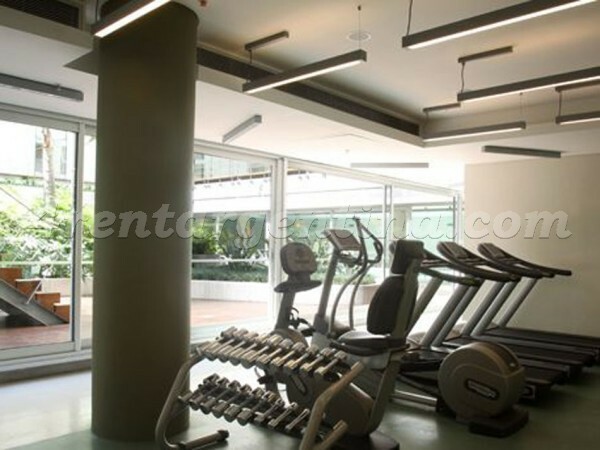 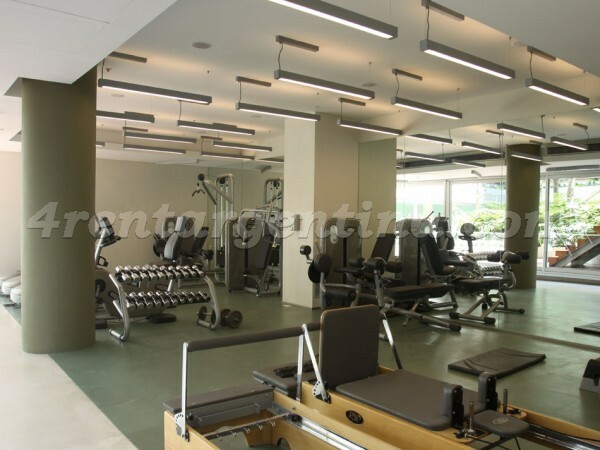 Moreover, the building provides 24-hour security service, and has a laundry, a sauna, a heated-swimming pool and a gym. 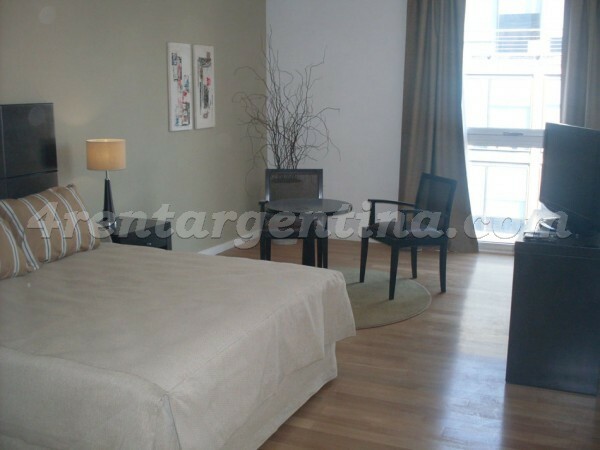 Excelente soporte y atencion de Eduardo Ithurrart.Ha resuelto con gran eficiencia y honestidad nuestros pedidosde soporte con tramites personales.